Dr. Kerry A. Moyer earned his undergraduate and graduate degrees in meteorology from Penn State University. Following his graduate studies, he spent two years working as a Postdoctoral Investigator at the Woods Hole Oceanographic Institution on Cape Cod. 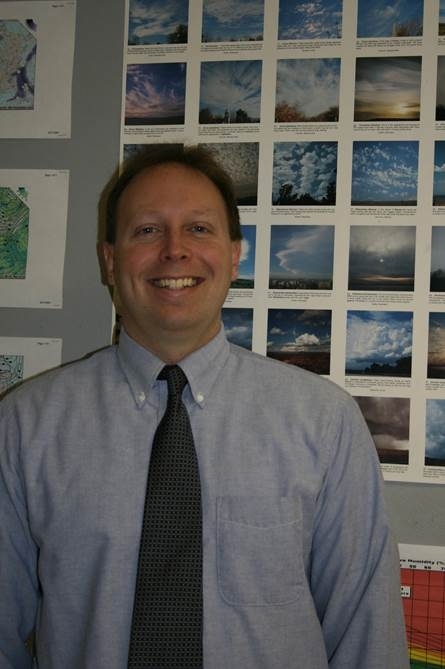 Dr. Moyer has spent the past 18 years teaching meteorology and climatology courses in the Geosciences Department at Edinboro University. His primary research interests lie in relatively small-scale (mesoscale) weather systems such as lake-effect snow bands and thunderstorms.